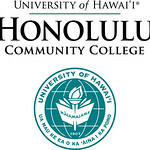 University of Hawaiʻi community college students have just received letters offering an auto-admission option to attend a four-year UH campus in the fall. These students, who are on track to graduate with an associate’s degree in May, were offered a quick and easy way to apply to UH Mānoa, UH Hilo or West Oʻahu, with no application fee needed. There are many routes to a bachelor’s degree. The “auto-admission” route from a community college to a four-year university is one of the easiest options available to a UH student. To encourage more students to transfer, the four-year campuses and community colleges are presenting UH Transfer Days from Monday, Feb. 12, through Thursday, Feb. 22. These are one-stop-shop events at each community college to answer questions, offer guidance and provide ample opportunities to learn more about the transfer process and baccalaureate programs. At UH Transfer Days, college and university representatives will provide hands-on assistance with the admissions application, and answer questions about college offerings, requirements, tuition costs and financial aid. The colleges have set up program-specific information sessions, meet-and-greet faculty opportunities and other activities for students transitioning from a community college to a four-year university. The public and anyone interested in transferring to UH Mānoa, UH Hilo or UH West Oʻahu are invited to attend these events.